a div. of Cascades Canada U.L.C. 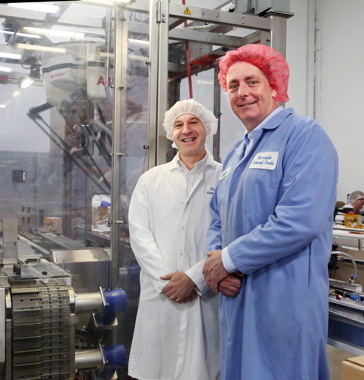 Bemis Flexible Packaging Canada Ltd.
Caption: Riverside Natural Foods Ltd. president Nima Fotovat (above left) and Propack president Chris Follows stand in front of the recently-installed new dual robotic top-loader utilizing the high-speed ABB IRB FlexPicker pick-and-place robot to automate the process of finished granola bars inside the cartons in one smooth continuous process. 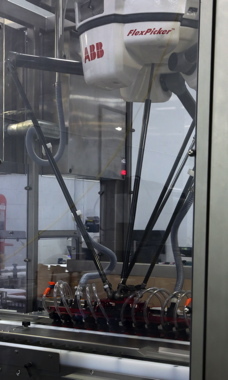 The Propack dual robotic top-loader utilizing the high-speed ABB IRB FlexPicker pick-and-place robot at Riverside Natural Foods. Drawing on his long experience in the Canadian nutrition-bar industry and a natural entrepreneurial knack for food innovation, Fotovat proceeded to create the unique new MadeGood line of granola bars and treats, fortified with real vegetables, at the company’s original Riverside’s 100-percent allergen- and nut-free facility in Vaughan. Organic, school-safe and packing the same amount of nutrients as one serving of vegetables, the whole-grain MadeGood granola snacks—offered in standard-shaped and sized MadeGood Granola Bars and the bite-sized, ball-shaped MadeGood Granola Minis—are also low in sugar and vegan- and kosher-certified to boot. According to Fotovat, the combination of flavors and healthy all-natural ingredients tapped a rich vein of growing demand by health-conscious Canadian consumers for an enjoyable and nutritious alternative to the multitude of sugar-packed nutrition bars already out in the market. “I do think that what sets us apart is the quality of our snack bars—not just from a taste sense, because it is very tasty, but also because of the life quality we bring to every unit produced here. “We use pure organic, big flake oats and brown rice crisps—two whole grains that contain healthy amounts of fiber, vitamins, minerals, antioxidants and disease-fighting phytochemicals,” he says. 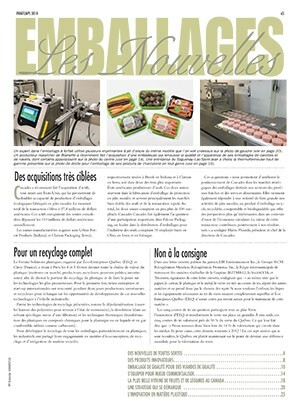 “The LJ robotic pick-and-place machine picks 12 wrapped bars at time and feeds then into formed paperboard boxes,” Fotovat relates. 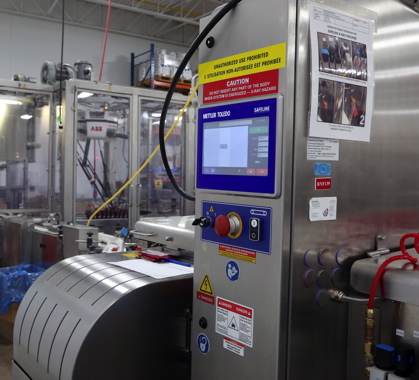 The new Riverside Natural Foods plant houses two production lines equipped with Mettler-Toledo Safeline X-33 X-Ray inspection equipment, purchased through Shawpak Systems. 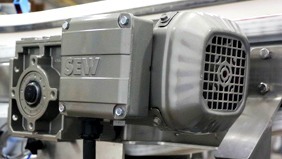 In order to prevent the product sticking together along the conveyor belting, the plant uses an InFlight FT seamer from Benchmark Automation, featuring Rockwell Automation’s Allen-Bradley PanelView Plus 700 interface terminal—to move the product along short conveyors at different speeds. 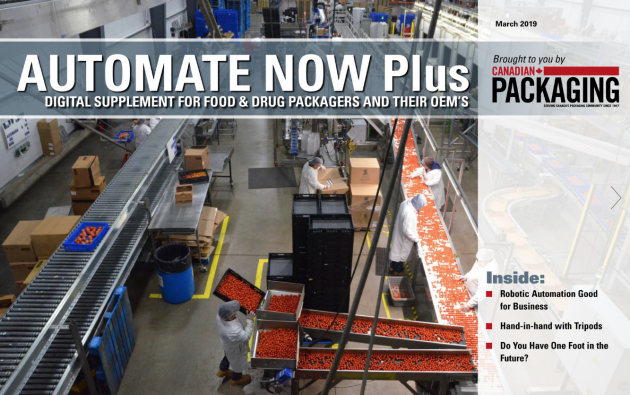 Each packaging line is equipped with the high-performance Revolution model flowwrapping system manufactured by Campbell Wrapper Corporation, with each machine’s precision-driven servomotors also controlled by an Allen-Bradley interface. 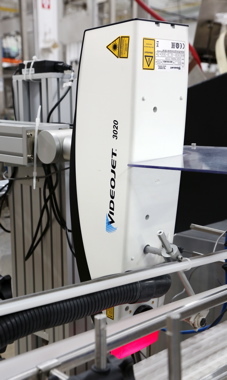 Above: A Videojet 3020 laser-coder applies best-before info and lot code data (see below)onto each carton formed by the Genesis carton former from Kliklok-Woodman, now part of the Bosch Group. 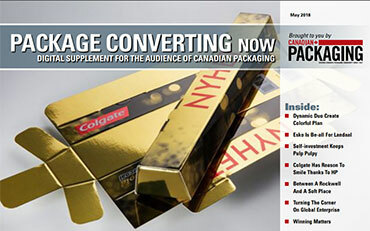 Using pre-printed rollfed film supplied to the plant by Lynnpak Packaging Ltd., Bemis Flexible Packaging Canada Limited, and Alpha Poly Corporation, the Revolution wrapper uses the eye-marks registered into the film to wrap the bars precisely the way the customers and consumers can best see them on the bar. 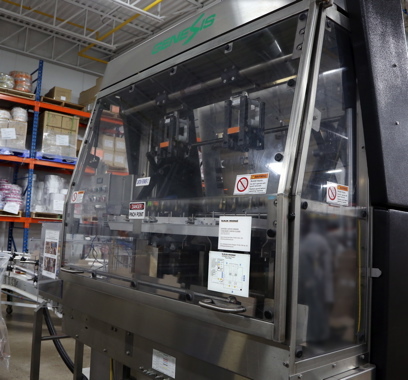 To take care of its uncompromising food safety requirements, each packaging line is equipped with a high-accuracy Mettler-Toledo Safeline X-33 X-Ray inspection system—distributed in Canada by Shawpak Systems of Oakville—for thorough inspection of all products emerging from the flowwrapper. The robust high-speed X-Ray systems inspect every single wrapped granola bar passing through it to detect the tiniest particles of foreign objects such as metal, glass, ceramics and pebbles, while also helping point out any product density issues. 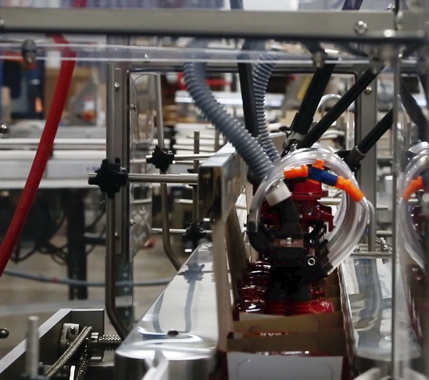 Once the bars are wrapped and sealed, the product moves on to the Propack LJ dual robotic loader, which takes the bars exiting each Campbell flowwrapper into a fully-automated robotic cell—equipped with an ABB IRB FlexPicker pick-and-place robotic lift that picks pre-programmed quantities of products to place into open cartons. 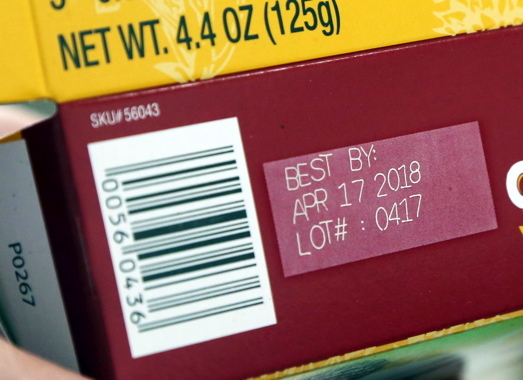 “Using this flexible top-load technology to place product into the open cartons allows Riverside to add coupons, to pack product varying in weight, and generally help create a very clean final package,” Follows states. According to Follows, the robot’s 15-inch Allen-Bradley PanelView Plus HMI conveniently places all the important information required by the operator onto one page of the screen, eliminating the need to flip screens when searching for data. 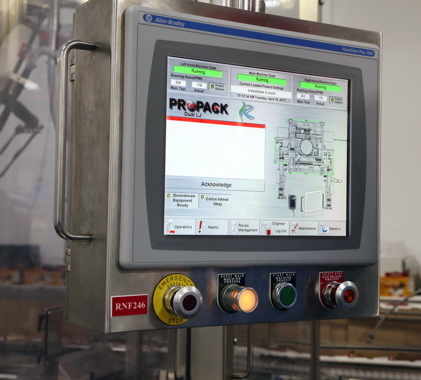 As Follows explains, the HMI on the Propack LJ dual robotic loader saves the parameters of carton changeovers—allowing the operator to quickly choose the required recipe via a simple touch of the screen—and also accumulates data such as how many bars per shift were placed within cartons to generate reports on efficiencies. The Genesis series is part of Kliklok’s family of top-load, lock-style carton forming machines developed to combine high-speed forming with ability to handle a wide range of carton sizes—the Genesis box former offers remarkably short changeover times of under 15 minutes, which is a major benefit for the busy Riverside plant. 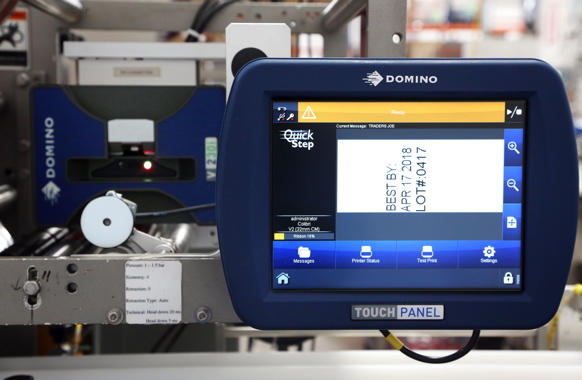 One of two Domino V230i thermal-transfer, high-resolution printers used by Riverside Natural Foods to apply applicable lotcode and best-before information onto the film used to flowwrap the individual MadeGood granola bars. 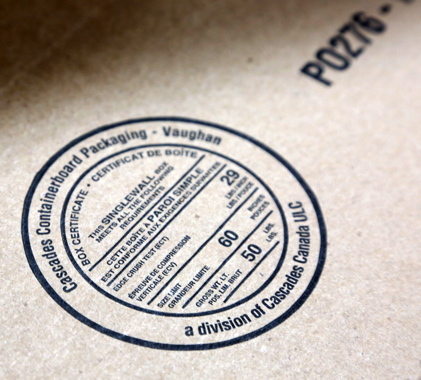 “With the lighter type cartons, you still get a positive placement on the conveyor—ensuring no jams occur on the empty carton transportation area. Adds Fotovat: “One of the things that I look for in vendors who might work with us, is their overall culture. “It should be a service-oriented culture built on getting the job done without taking shortcuts—the same as Riverside. 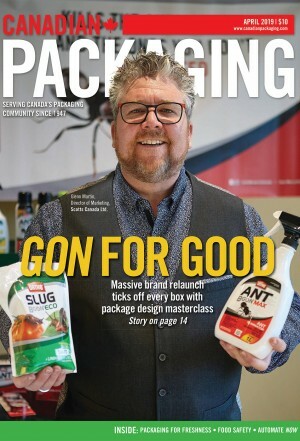 “While Propack offered us a great piece of equipment that would create better production line efficiency,” he says, “they did much more than just sell us the hardware. 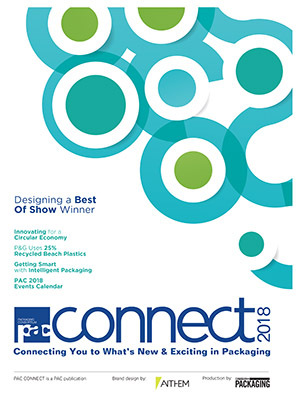 “They used their outstanding integration skills to tie all the machines into a single streamlined solution,” Fotovat states. See the video on the operation of the Propack LJ dual robotic loader at Riverside Natural Foods on Canadian Packaging TV at www.canadianpackaging.com HERE. 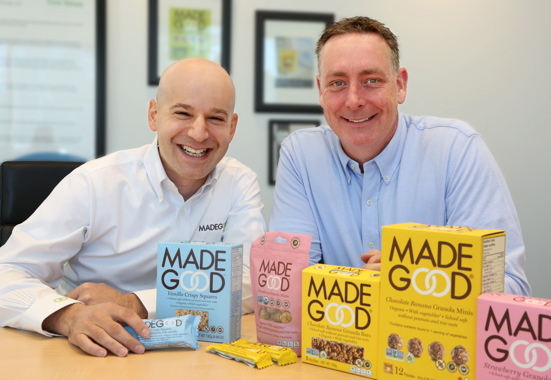 Riverside Natural Foods Ltd. president Nima Fotovat (left) and Propack president Chris Follows with examples of the MadeGood granola product.